While we're not entirely sure what changes Android 4.4.1 will be bringing across the host of Nexus devices it's currently rolling out to (aside from an improved camera on the Nexus 5), we do know that the latest release of Google's mobile OS is hitting the repositories of the Android Open Source Project as we speak. Just head to the kitkat-mr1-release branch and you'll see the build number KOT49E. 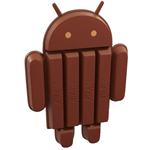 Update: The relevant tag for the update is android-4.4.1_r1. 4.4.1 is expected to be a bugfix release, by and large, and hopefully will address some of the issues we've been pointing out in our ongoing Bug Watch series.